Friday night sew in was not as productive as I would have liked. But I got some sewing done. So I'll work with the positives! I was cooking cup cakes for our canteen at Rugby which was on the next morning, so couldn't quite lose myself in sewing. 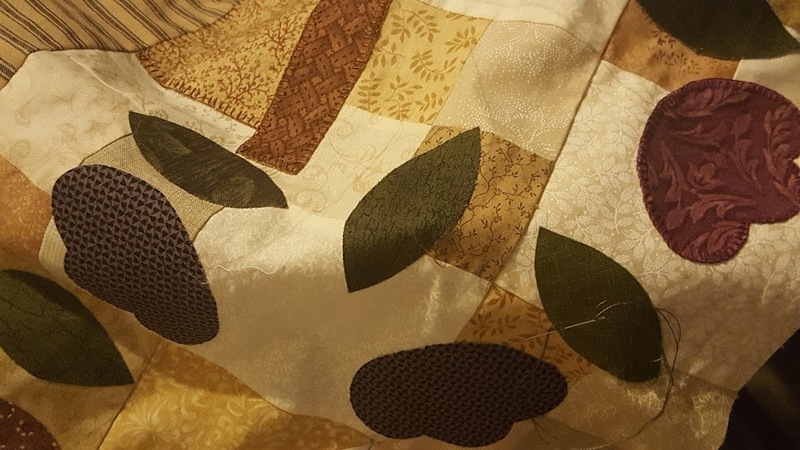 I worked on my second quilt top for 'Tis the Season. I'm doing this one in variegated greens. Unfortunately, I ran out of thread. Then there was some more work on my Gardener's Journal Quilt. Photos will have to be on my list for tomorrow as they aren't going to work tonight. It was still a nice night to spend some time sewing. Haven't had one of those for awhile now. Glad you got a chance to sew - I plan on spending the whole day today doing just that!